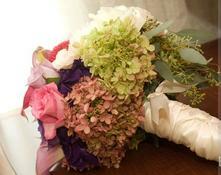 For the past twenty years Laurie and her staff have been designing elegant and unique floral arrangements for weddings and special events.Laurie has worked with and is well respected by top caterers, hotels, mansions, meeting planners, and special event venues throughout RI, CT. and MA. Our staff has provided flowers for the Annual International Tennis Hall of Fame Inductees Dinner, The America's Cup Ball, Newport Mansion Weddings and The Electoral College Gala. We can provide you with extravagant arrangements to simply elegant.Our style is varied but can be described as sophisticated English garden style. We can offer an array of props, containers,glass, silver, arches, and canopies. 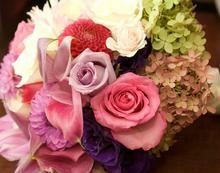 All of our flowers are hand selected for each event either from local gardens or in the Boston Flower Market. 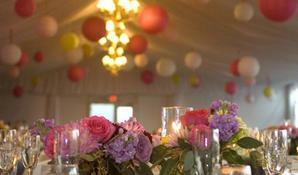 Planning a special event, especially a wedding can be overwhelming. I am very down to earth and can easily guide my clients in planning their event. Our pricing is very reasonable. Consultations are by appointment only. Please call or send us an email. I look forward to meeting with you.